The Best, Game-Changing Makeup Hacks You Absolutely Must Know! When it comes to buying and applying makeup, there’s always a learning curve. Some people are overwhelmed while others have what seems like a pretty smooth transition into the world of beauty. I don't know about you but I'm always looking for new ways to save time and perfect my makeup skills. I’m definitely not one to pass up on a good time-saving, technique-perfecting makeup hack. 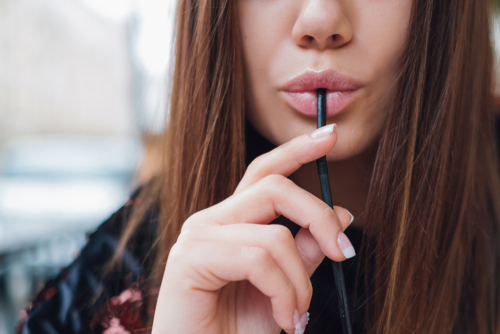 Luckily for you, we’ve interrogated every makeup junkie we know and found you some of the absolute BEST, life-changing makeup hacks. 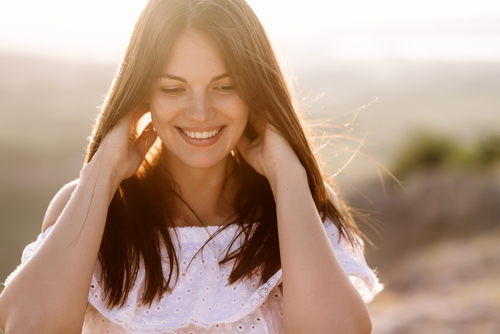 We’ve tried, tested, and vouched for each one of these hacks! So, go ahead, take ̓em for a spin. You won’t be sorry, promise! Are you ready to dive head first into the deep end? You’re in for quite a ride. Grab yourself a cup of coffee and start scrolling. Your mind’s about to explode! Don’t have gel eyeliner? Don’t worry you don’t have to run out and buy some. Simply place the tip of a pencil eyeliner on a lighter or a candle for a few seconds. Touch the tip to make sure it’s not too hot. Apply eyeliner as you usually would! Easy-peasy gel eyeliner! Use white eyeliner as an eyeshadow base to make your eyeshadow pop! Using pastel or light coloured eyeshadows that aren’t too vibrant? Use a white eyeliner as a base on your eyelid and any eyeshadow you apply over it will look brighter! Hungover? Sleepless? White eyeliner in your waterline makes tired eyes look better, brighter, and bigger. You can use this trick on days when you’re feeling a little under the weather and on days when you need to balance a dramatic eyeshadow look. Place the curved edge of a spoon along the outer corner of your eye and use this as a guide to draw the wing for your winged liner. Repeat the trick on the other side and your wings will always match! AMEN! Another amazing hack would be to use scotch tape. Cut a small piece and place it along the outer corners of your eyes, draw on eyeliner as you normally would and peel off the tape once you’re done. Perfectly sharp wings, every single time! Forgot to carry eyeliner? Don’t worry! Use your mascara as an eyeliner instead! 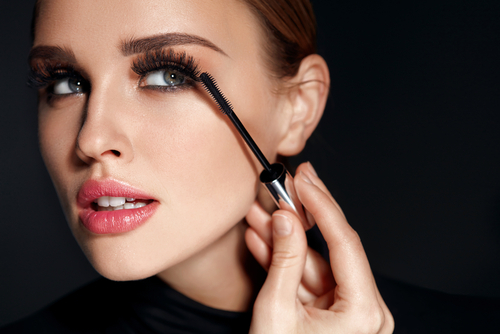 Use a fine brush or a Q-tip dipped into mascara and line your eyes. Is your gel eyeliner dried out? Use a drop of facial oil or baby oil and pop the eyeliner in the microwave for a minute. Once the eyeliner has melted, give it a good mix and let it cool for a few hours. Your gel eyeliner will be as good as new! Draw a hashtag on the corner of your eyelids to create the perfect smokey eye. Make sure that the ‘#’ symbol doesn’t extend over the crease of your eyelid. Next, blend it out using your fingers or a brush. You can build up the intensity to your liking. If you have small eyes chances are your mascara always ends up getting on your eyelids. A great way to avoid this would be to place a spoon on your eyelids. This way, the excess mascara ends up on the spoon and not the eyelids. Add a few drops of lens solution to dried out mascara and you will get a couple more uses from it. Alternatively, drop your mascara into a glass of hot water for a few minutes. This will heat up the formula enough for it to be more usable. Heat your eyelash curler using your blow dryer and then curl your eyelashes. The heat from the hair dryer will make your lashes look perfectly lifted and curled. Apply baby powder or translucent powder to your eyelashes. Do this in between coats of mascara. It will give you fuller, thicker, and almost falsies-like lashes! Apply concealer in the shape of a triangle under your eyes. This method is more effective in concealing dark circles because it brightens up your entire under eye area. Don’t have any corrector and need to brighten up your panda eyes? Use red or orange lipstick under your eyes before you apply foundation and concealer. Blend it out using your fingers. The red and orange will neutralize any redness and darkness under your eyes! Once you’ve groomed and filled in your eyebrows, apply a thin layer of concealer around them and blend it out well. This will draw attention to your eyebrows making them look better. This is also useful if you are in-between threading sessions and need to hide a few stray hairs under your eyebrows. A dark brown eyeshadow or a powder brow product will give your brows the illusion of being fuller and fill in any sparse areas! Contour your upper lip by drawing an X shape on your cupid’s bow with a lip liner that’s one shade lighter than your lipstick. Fill in your lips with lipstick. Because of the brightness created by the lip liner on your upper lip, it will give the illusion of a fuller lip. You can even dab a smidge of lip gloss on the centre of your lips to get the same end result. Dab off your lipstick on a tissue paper, apply another layer and repeat the dabbing. Do this a few times and your lipstick will stay put all day long! You can even place a thin sheet of tissue paper on your lips and dust some translucent powder onto the tissue paper. The powder will absorb through the tissue making your lipstick last much, much longer! Mix a little bit of eyeshadow, loose pigment or even blush with vaseline for a customized shade of lipstick. Use metallic eyeshadow to create a metallic-finish lipstick! Use a drop of facial oil on your lips a few minutes before you’re going to apply a liquid or a matte-finish lipstick. This will not only ensure that your lips are soft and hydrated, it will also ensure the lipstick applies smoother. Messed up while applying a bold shade of lipstick? Don’t worry! Use a little bit of concealer on a flat brush to cover up any mistakes you may have made. Use concealer all around your lips and blend it out properly if you want your lips, and lipstick, to pop! Mix a little bit of blush with lip balm to make yourself a lipstick that perfectly matches your blush. Apply some blush on your eyelids as well for a quick monotone makeup look. Once you’re done applying lipstick, make a kissing face and place your index finger in your mouth. Pull it out while making the kissing-fish face. All the excess lipstick that would have usually ended up on your teeth, is now on your finger. It’s that simple. If you managed to break your lipstick while applying it, you can either melt it and put it into an old lip balm container or fuse the broken bit back to the bullet. Here’s a video demonstrating this among other awesome beauty hacks! If you want to fuse your lipstick back to the bullet, place the broken bit of lipstick over the flame of a candle or a lighter until it starts to melt a little. Place it firmly back into the bullet and press it in place. You can run the flame around the joint to make sure it stays in place. Alternatively, place your broken lipstick on a metal spoon and place the spoon over a candle. Allow the lipstick to melt completely before transferring it into a lip balm container. Start by applying foundation from the center of your face going out, this will give it the most natural look. When you apply too much foundation to the perimeters of your face, it can look like a mask if you don’t blend it in well. The best way to avoid that cake-face would be to start in the centre and blend outwards. When you’re buying foundation, swatch your foundation on the side of your neck. Start at your jaw and take it down to your neck. The shade that looks undetectable is your perfect shade. If you use this method, you’ll never come home with the wrong shade of foundation again! Makeup tends to oxidize a little, this means that when it comes in contact with air and starts to dry, it may turn a shade or two darker. So, if you’re buying some makeup, it would be best if you apply it and walk around for 5 to 10 minutes to see if the shade oxidizes or not. This hack is particularly helpful when you’re buying high-end makeup. Adding a drop of oil to foundation makes it easier to apply and easier to blend. If you have dry skin or if you have a very thick foundation that doesn’t blend well, add a drop of facial oil to it and mix it on the back of your hand before applying. Add a little bit of liquid highlighter to the foundation before you apply it. This will give your skin a luminous, all-over glow. You can even mix the highlighter with moisturiser to give the appearance of dewy skin. Apply your foundation before you apply concealer. This way, you don’t end up applying too much concealer or too little! Ran out of your fave makeup setting spray? Just run to the pantry and grab yourself a bottle of good olʻ rose water and spritz some on your skin. It will set your makeup and lightly moisturize it too! Use makeup setting spray to get a better colour payoff from your highlighter and eyeshadow. Just swirl a makeup brush in some eyeshadow or highlighter, spritz some setting spray on the brush and then apply it! Pat some concealer on your lips before you apply lipstick. This will prime your lips and allow your lipstick shade to look brighter and better! If you have dark lips, the concealer will even out any discolouration and your lipstick will look great! Take a spoon and powder the entire product into the pan. Drop some rubbing alcohol into the pan and keep mashing and mixing the product. Make sure there are no clumps when you do this. Leave the product out in the open overnight. The rubbing alcohol won’t change the consistency, colour or performance of the product, it simply acts as a binding agent. Your highlighter will as good as new the next morning! If you’re looking at celebrities and influencers and wondering why your makeup doesn’t look as good as theirs, a simple switch in your makeup routine will give you that edge. Using a beauty sponge to apply your makeup will make everything look, and apply, better! Use it in dabbing and stippling motions and your foundation will look like second skin! Use the sharp contours of a spoon or a pencil and place it under your cheekbones. This will give guide you perfectly, and give you a sharp celeb-like contour! Have an unannounced visitor before a hot date? Ice the pimple for a few minutes at least 2 to 3 times a day. This will reduce the swelling and inflammation and make it easier to cover up with makeup. Mix a little bit of powder compact or liquid foundation with moisturiser or sunscreen to make your very own BB Cream! The best part is that you can add as much as you need and customize its coverage. Can’t wait for your nails to dry? Use some cooking spray on your nails and they’ll dry in an instant. If you don’t have cooking spray, dip your fingers into a bowl of ice water for 2 to 3 minutes. Use an eyebrow pencil to contour your face. The pencil is lighter and blends out easily. It’s the perfect hack for beginners because you won’t end up going overboard! If you have very oily hair, you would definitely benefit by using some dry shampoo. But, dry shampoo is more effective when applied the night before. Spritz some on your roots and brush it through your hair and go to sleep. The dry shampoo absorbs into your hair overnight making your hair look more natural the next morning! Instead of wrapping your hair up in a towel after you wash it, use an old T-shirt to tie it up. This will ensure that your hair doesn’t get frizzy. This is a particularly great hack for the colder months, and if you live in a tropical region! We all have those little baby hair that stick out on odd occasion. Spritz a toothbrush with some hair spray and comb through your baby hair. This will ensure that they stay in place all day long! You can use baby powder on flat, limp, and even oily hair. Just sprinkle some on your hair brush and comb it through your roots. It will absorb any excess oil and add some texture to your hair too. This is a particularly great trick if you’re trying to style greasy hair! Looking for some fun makeup hacks? Check out these two videos where our Beauty Producer Shraddha tries out some pretty outrageous makeup hacks! I don't know about you but I'm always looking for new ways to save time and perfect my makeup skills. Whenever someone gives me a makeup hack, I'm always ready to take it for a spin. Recently stumbled across a video of this blogger trying and testing out some of the best makeup hacks recommended by her subscribers. In the video, she picks some interesting hacks and tells you whether they work or not they work! It's always more fun to WATCH someone test out a makeup hack before you jump into the deep end! Among the hacks, what caught my attention the most was the one where she mixes her foundation, primer and moisturiser. It works brilliantly! Imagine shaving off three steps in your daily routine. That's like 15 minutes you end up saving right there. The second hack that I personally liked was applying blush before foundation. I always end up using a heavy hand with a blush and look a little extra! Apply the cream blush on your cheeks before your foundation or BB cream and you'll end up with the most natural looking healthy glow. 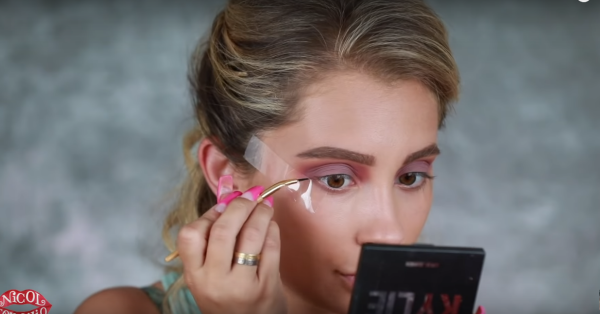 I'm definitely going to try some of these hacks the next time I do my makeup, what about you?